When there is a potential under-concrete slab leak in your Fort Worth home or business, then it ís important to call us as soon as possible for professional Fort Worth slab leak repair service. Waiting to have the problem found and fixed is not a good option and will only lead to greater pain and expense in the future. We’re proud to offer our professional services 24 hours a day and 7 days a week. We’re even available on Holidays. So, in the case of a slab leak issue, you can rely on us no matter what time of the day or night it happens to be. We’ll come to your home with the best team and equipment to efficiently detect where the leak resides and its scope. 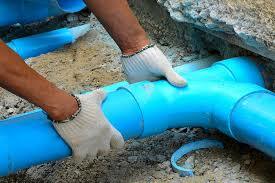 We can then determine the best way to fix the leak and provide you with our assessment and the costs of repair. You can then let us know what you’d like to do; if you’d like to get started with repair, then we’ll get right to work ensuring the slab leak becomes a thing of the past as quickly as possible. Call us anytime for professional Fort Worth slab leak repair done right. You can learn more about our professional Fort Worth slab leak repair services when you browse through our website, http://aaa-augerplumbingfortworth.com. If you have any questions about any of our professional plumbing solutions or you’d like to get started with service, then just give us a call or use the contact form found on our website.